Winter Spectacular 2.0 is almost over, but we've got two more games to give out before we're done! Earlier this week, we gave you a chance to help would-be assassin Corvo Atlano restore order to the plagued city of Dunwall in Dishonored. Following suit, today's prize will have one lucky winner filling the shoes of former ICA operative Agent 47, in Hitman: Absolution. Do you have what it takes to expose the ICA's misdeeds? Once again, we're offering the choice of Xbox 360, Playstation 3, and Steam formats. Square Enix has poured from their reservoir Kingdom Hearts 3D: Dream Drop Distance, the next entry in the hack-and-slash RPG series that has won fans the world over, it's number of Disney crossover references only rivaled by the number of newcomers confused by the series' plot.As a reader and potential first-time buyer, one might be skeptical that Kingdom Hearts 3D, the seventh installment in the franchise, might be a worthy purchase. Anyone who has even heard of Kingdom Hearts is sure to be aware of the confusion surrounding the series, and as such, may be dissuaded. The assumption that one's enjoyment of the game would be significantly diminished had they not played the previous entries is likely; one could guess that Square Enix had the jitters about this, as well! And yet, Kingdom Hearts 3D's rich offerings and plethora of flashbacks and mini-encyclopedias are the nigh-perfect package for any 3DS owner to feel comfortable picking up. Thus, this review will be grading Kingdom Hearts 3D as much as possible as it's own game, as fans of the series have undoubtedly picked this one up anyway. The main draw of the series has been it's unlikely coupling of Square Enix's characters with Disney's atmospheres, a combination so bizarre that it actually works- quite well, in fact. In each game, the player visits famous Disney locales, usually taking on the role of Sora, the Haley Joel Osment-voiced protagonist. The main series antagonists are a group of people known as Organization XIII, and each trip to these Disney worlds sort of revolves around stopping the Organization from being evil. The series features one heck of an engrossing story, top-notch hack-and-slash combat, with RPG leveling thrown in as the icing on this hodgepodge cake. In theory, nothing about the series should work, but the formula is great, and it feels right! So, in Dream Drop Distance, it's more of the same, with a few game-exclusive concepts introduced to shake things up a bit. 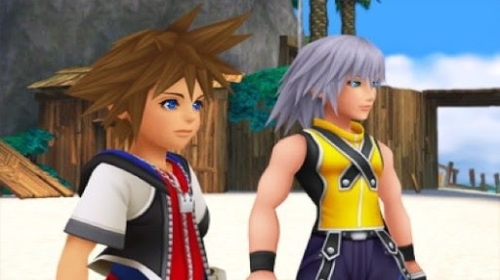 Sora and Riku (another series regular) are at the brink of becoming Keyblade Masters, which will allow them to circumvent the return of Organization XIII's Master Xehanort. They must awaken sleeping Disney worlds, and rid each world of creatures known as Dream Eaters. This is an incredibly watered-down summary, and if the player is at all confused, natural progression through the game unlocks helpful flashback cut-scenes and encyclopedia-like entries to read through. These two additions exhibit wonderful foresight on behalf of Square Enix, and are truly helpful in bringing newcomers up to date as close as possible. Veteran character actor Powers Boothe, most notably known for his roles in Deadwood, 24, and Sin City will be lending his voice to a character in Hitman: Absolution. One of two new characters just announced earlier this afternoon, Boothe will be voicing ICA Agent Benjamin Travis. Additionally, Shannyn Sossamon, of A Knight's Tale and 40 days and 40 nights fame will be taking the role of Jade, Travis' secretary. Both actors will not only be voicing their respective characters, but will also be doing motion and performance capture for them as well. Along with this announcement, Square/Enix has released two new videos; the first, an ICA files dossier on Benjamin Travis, the second, an interview with the actors regarding their respective characters, and role in the game. Check out the new videos after the jump. Square Enix has been working on their latest game in the Hitman series, entitled Hitman: Absolution. Even in this early stage in development, it's looking promising. Yesterday, a gameplay trailer was released. This action packed trailer follows Agent 47 going through an abandoned library in Chicago, runs a full 16 minutes, and features 47 creeping around in the dark. The dynamic lighting in particular looks especially good; watch as random flashes of lightning illuminate otherwise dark areas of the library. The game is currently slated for release sometime next year and will be available for the Xbox 360, PC, and Playstation 3 platforms. The game will be an online RPG allowing both online and offline play. While offline players will be able to make allies with npcs to fill the roles that other players would normally occupy. The word massive was not used to describe the online play and any word on the scale of the multiplayer functions are just speculation. 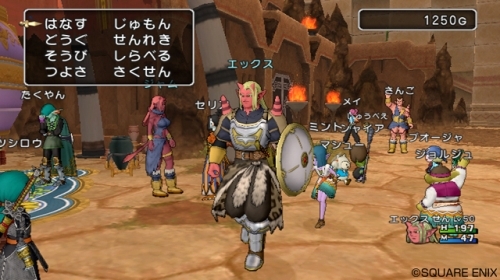 Players will create their own characters to use in this installment of Dragon Quest and players will be able to take on crafting jobs to create weapons and items for their players to use.